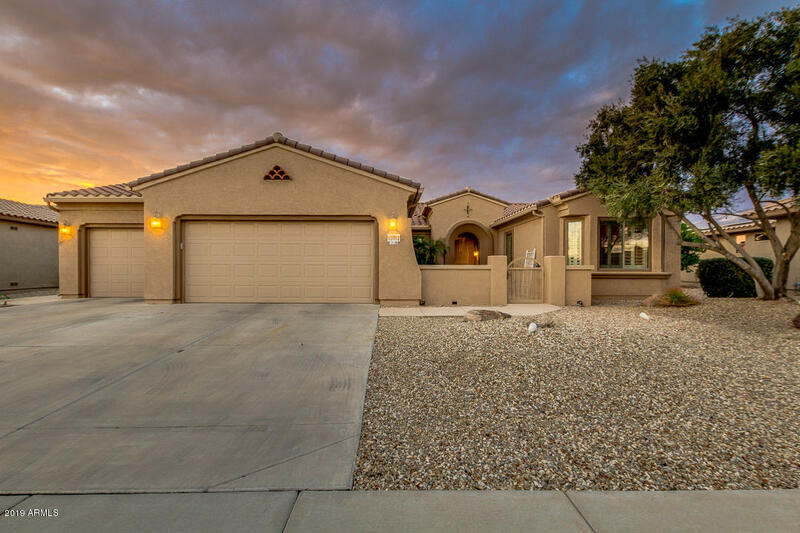 All SUN CITY GRAND DURANGO homes currently listed for sale in Surprise as of 04/20/2019 are shown below. You can change the search criteria at any time by pressing the 'Change Search' button below. "Sun City Grand golf lot home! Wonderful 3 bed, 2.5 bath property. Formal dining and great room concept, perfect for parties and celebrations!, Plantation shutters throughout, neutral paint, and beautiful tile. The kitchen is comprised of ample cabinetry with granite countertops and backsplash, wall oven, a charming island, and breakfast bar. The grandiose master bedroom boasts a private bath with his and her sinks, as well as a spacious walk-in closet.Desert landscaping, extended 3 car gar"